Lovely muffins, lovely dishes! Let me know how the book is. Have a great day. I am going to make chocolate chip cookies! The coffee and muffins look so tempting! Don't you just love to bake something from you already have in the pantry? Thanks so much for the recipe link. They look delicious! Thanks so much for sharing. I think it's all round to your place for coffee and muffins. 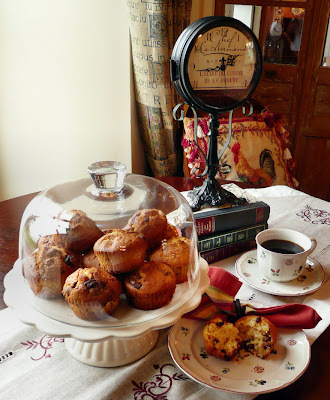 The muffins sound delicious and I love the setting you created for them. Yum! Muffins and tea, just delicious. Would love to pop by for a visit! 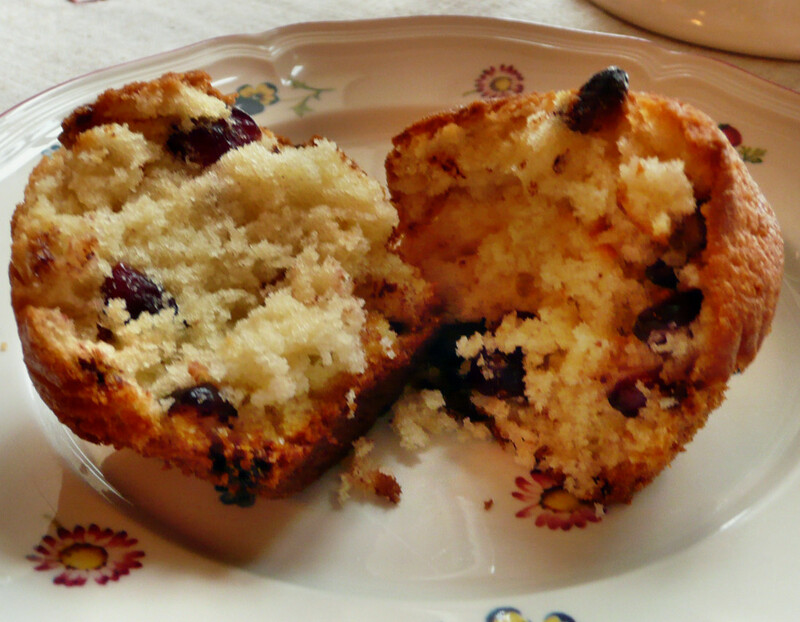 I'll have to try these...I love muffins, chocolate AND cranberries! MMM! Found you at Full Plate Thursday - keep up the good work. LOVE your beautiful header! I love muffins with dried fruit in them! These look beautifully delicious. I too have some cranberries from Christmas. You just me an idea! Thanks. I'll go visit her site. The muffins look so tempting! I'm just about to start Ina's Soda Bread. Have a wonderful St Patrick's Day! These look very yummy and I also love the cake plate! So beautiful! 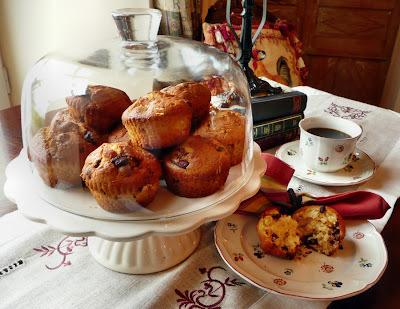 Your Chocolate and Cranberry Muffins are going to be a great addition to my afternoon tea. I wish it was ready right now. Thank you so much for sharing on Full Plate Thursday and please come back! Your muffins look wonderfully moist and flavorful! I also liked your Irish soda bread in the prior post. I find baking so relaxing and comforting. It's been that kind of week! Oh Yum, Maggie! But then how could you go wrong if you added chocolate! THANKS for the tip about flouring the fruit..will surely try that. 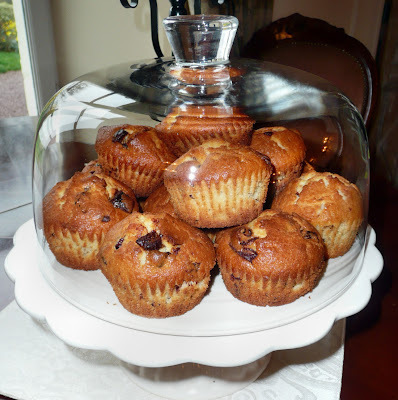 Your chocolate and cranberry muffins look and sound so yummy! Can't wait to try them. 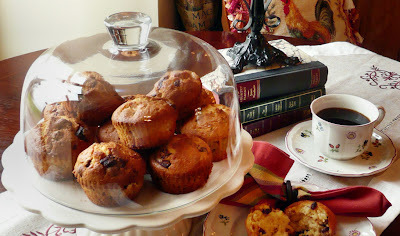 Thanks so much for linking up to Muffin Monday and sharing your recipe! !